Ryan's Smashing Life: Me And My Drummer - "Gun"
Me And My Drummer - "Gun"
POW! The third song off their new album "Love Is A Fridge" (2016) we're proud to be among the very first music sites out there to be sharing, the coolest new track in your hot summer list. "Gun" is an ethereal, atmosphere-heavy pop jam, think hot molasses laid over a Calvin Harris beat. 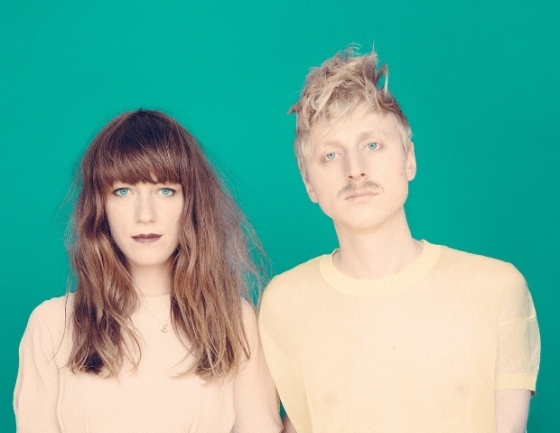 Charlotte Brandi and Matze Pröllochs are the duo in Berlin behind this charismatic love-in going on in your ears. Right now we only have EU dates for them. With pop like this, I am hopelessly addicted. See you at the end of the summer! You should come to Hannover in August. So we can see them live at the Fuchsbau Festival.